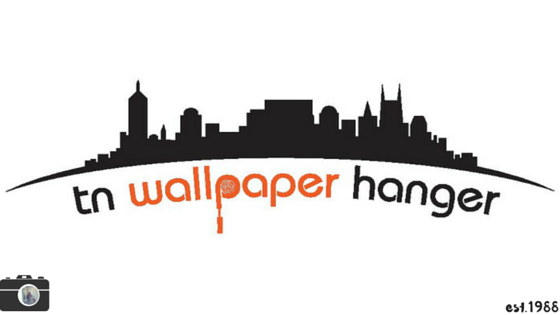 Every wall mural is a unique piece of art and the right wallpaper mural can transform any home, office or business into an amazing space. 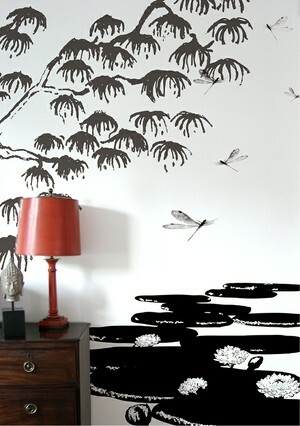 Wall murals make bold feature walls for an eye-catching captivating look. Engage and mesmerize with their rich textures, vivid colours, and crisp high quality digital imagery in a plethora of styles. From nature inspired imagery, to abstract, to faux finish styles, these wall murals offer you the latest in design trends and styles. Wallpapers are just as unique as you are. It’s an interpretation of your personality and character. Here are our 5 favorite new murals in the market today. Do you have a favorite? 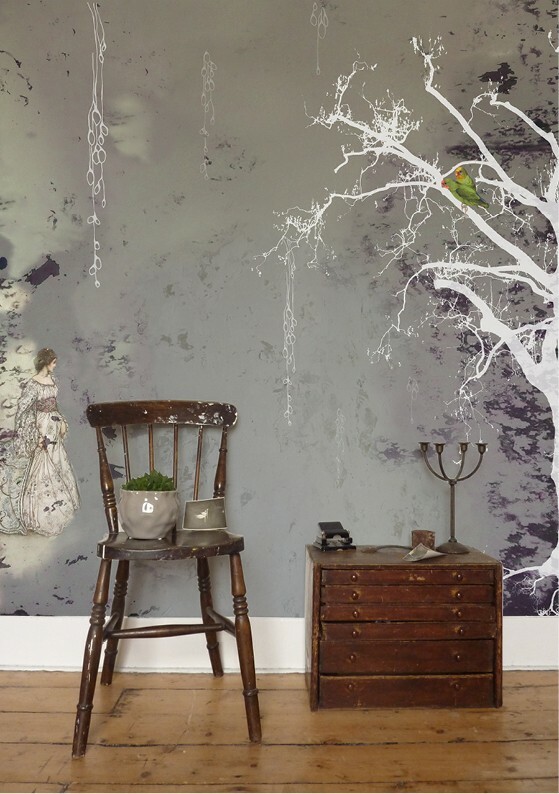 Wallpaper designs that take one on a fantastic journey to imaginative far away places. Enjoy! 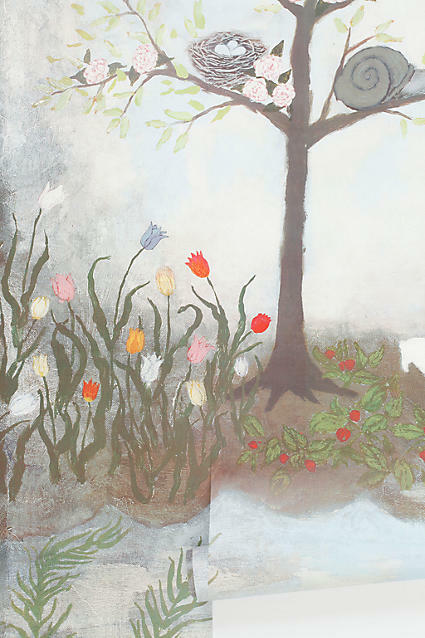 1) Louisianan artist Rebecca Rebouche brings us into her Enchanted Forest (below). It’s a whimsical wood where butterflies are the same size as hot air balloons, trees don party hats, and seahorses have tea on a sunken sailing ship. Wonderland’s Alice would love it on her wall. 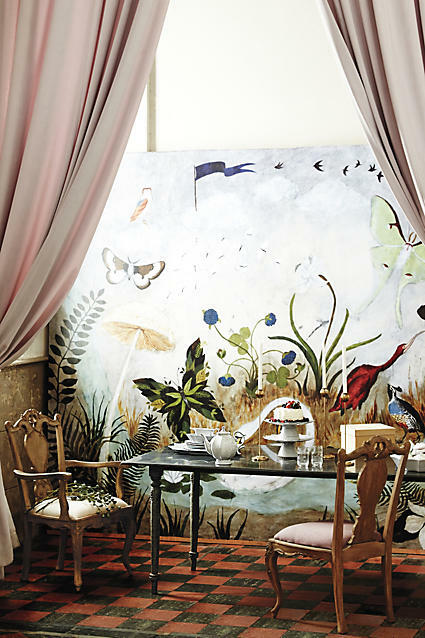 2) A surreal naturescape dreamt (above)up by Louisiana painter Rebecca Rebouche, while perched high in her treehouse studio. 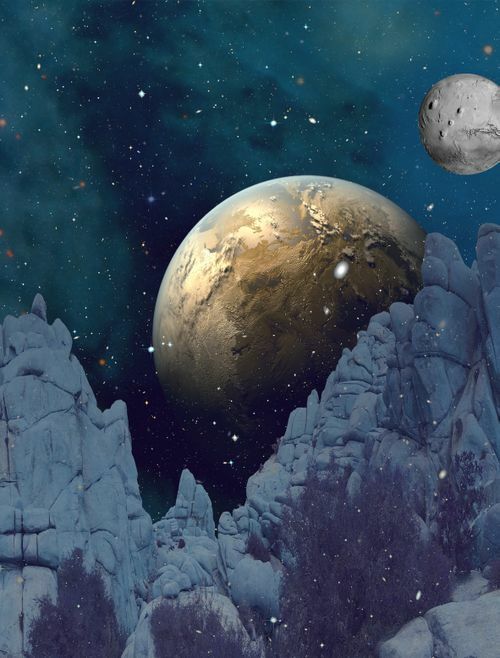 3) Tales of journeys through space, or deep into the center of the earth. 5) De La Terre A La Lune - From The Earth To The Moon...Inspired by turn-of-the-century scientific discoveries and travels.